Imagine you find out that you are pregnant? No doubt a lot of emotions will be running through your head. You might be shocked, anxious, confused, worried, or most times excited. Gradually you start thinking if being a mom is worth it or if you are ready to become a mother. It so funny when in one second you are crazy about having a baby in your womb, and the next minute you are scared and questioning yourself it is time to have a child and be ready to be a Mom. My first pregnancy was actually not planned and my second one was really frightening because I planned on giving birth to a boy as the second since my first was a girl, but still It was later concluded that it was a girl again. Anyway, both times that I became pregnant and actually gave birth were the happiest part of my life. Have you experienced any early pregnancy symptom, which actually made you consider taking a pregnancy test? I am going to enlighten you on some things you really need to consider whenever you find out that you’re pregnant. After noticing some early pregnancy symptom, informing your husband is the next step that should be considered before going to take the test. This will be like the most amazing news you can share with your husband and so hiding such from him will not make him happy. It is advisable to set up an appointment with your family doctor in order to confirm if you are truly pregnant. The doctor will have to conduct a pregnancy test to be sure that you are pregnant. The earlier you see your doctor, the faster you start making good remedies for a healthy safe pregnancy. If you have some bad habits that you usually do when you finally get pregnant a lot of this habits will have to be stopped. If you are the type that always smokes or take excessive alcohol, now is the time to actually stop those practices. If you are also addicted to taking hard drugs you can also endeavor to abstain from such during your pregnancy period as all this can affect your baby. You can talk to your doctor to help you will possible solutions to break free from such habits or even get drugs to help you to stop them. Remember that whatever sacrifice you are about to make will be for the best interest of your baby. Now is the time to start taking pregnancy vitamins. 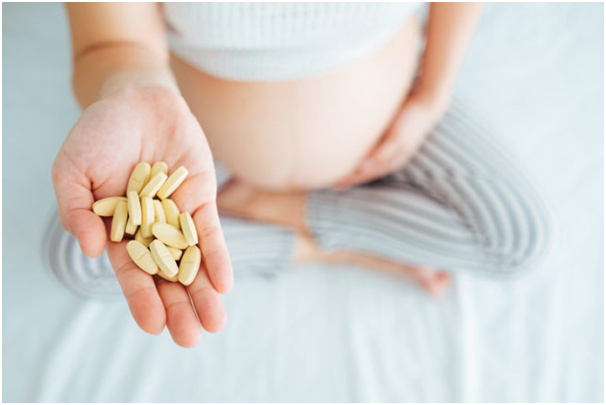 If possible discuss with your doctor on the recommended vitamins that will be needed for your baby’s health or if your schedule will not allow you see a doctor, you can visit a nearby pharmacy to get some drugs that will be needed for your baby’s health. The news that comes when you are pregnant is one that cannot be compared with anything. Most people wait till some month before sharing the news with friends, others share it with people immediately after noticing those early pregnancy symptoms, while others tell others when they finally put to bed. These are all personal decisions to make but what matters most is sharing it with those you consider to be close friends and families. Downloading apps like baby’s pregnancy app or what to expect app can help when you are pregnant and want to find some few things about your baby. It will help you know some things about your baby’s height, weight, the number of weeks you are with your baby, the growth of your baby and other things. It is a very useful app as it adds to the knowledge of your baby bump. The period of pregnancy is a very crucial one, and you need to be very careful as to what you eat. It is advisable that you start eating foods like vegetables and fruits. You can eat junks, but It should be once in a while. 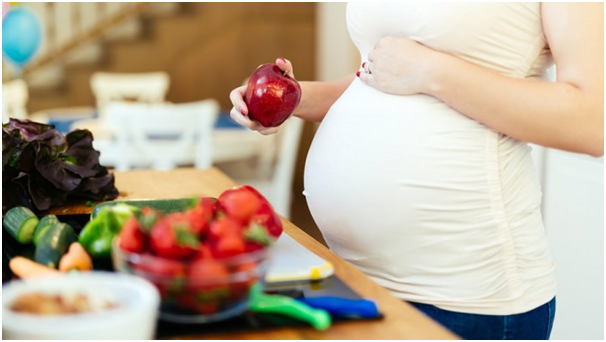 Avoiding sugar is also necessary so that your baby doesn’t have gestational diabetes. Fries and burgers should also be reduced so that your baby doesn’t have health issues after birth. When you are pregnant, it is advisable to avoid heavy lifting as it may affect your baby’s health. If you bend down to lift something heavy, it will make your baby very uncomfortable and may lead to injuries such as internal bleeding. This is a serious step that should be considered so that your baby can have a healthy life. Being pregnant is such a beautiful thing in a woman’s life. It will really be nice if you capture every aspect of your stomach increment while being pregnant for your baby. If possible snap according to the size of your stomach and you can repeat the same set of clothes to make it more fun. This will create good memories of you and your baby and if possible create a photo album for all of them so that you can show them the photos when they are fully grown. Congratulations on being pregnant. There is no need to be scared because you are surely going to be agreat mom if you really follow all these steps that have been stated above. Itis going to be a bundle of joy as you do not need to be terrified, but beconfident that you will be a very good mom. I’m a stay at home mom of a little girl named Isabella. If you are reading this there is a good chance you are a mom as well. Just like my career before Isabella, I am very focused on providing and finding the best of the best for my little girl. I started babymommablog to help share all of the things I have learned over the last couple of years from expecting to raising Isabella.